A cursory glance at the single-family house didn’t offer any clues as to what was inside. It looked no different from any other of the bungalows lining the northwest Calgary suburban cul-de-sac. But in this case a new fully legal secondary suite lay somewhere within. Shawn Langille, one of the faces behind Redline Real Estate, stands outside the ‘front door’ of one of his newest developments. Shawn Langille, a realtor and leasing associate at Redline Real Estate Group, opened a tall wooden gate leading to the back of the house. The ‘backyard’ had been transformed into its own area. Large windows framed the ‘front’ door to the house. Inside, sunlight spilled into an intimate, airy space that didn’t feel like a basement suite. Langille and his team had turned a single-family home into two self-contained secondary suites, creating a ripe investment opportunity. Secondary suites have become a niche that the real estate industry is all too keen to cash in on. After the Calgary flood of 2013, Studio Wolf saw a sizeable increase in business. The worst hit areas saw a need for extensive repairs and in some cases, complete rebuilds. The majority of these damaged suites were illegal and sometimes unsafe even before the flood. “Since the flood, there’s been a pretty noticeable bump in business. Many of these suites were wiped out or otherwise damaged, which means that I had to come in and fix some serious messes. Illegal suites in particular, in some of the worst hit areas, needed to be redone from the ground up.” Simpson recounted. “Where they weren’t up to code before, they’re safe and allow for a standard to be set in regards to quality of life,” said Simpson. From the outside, one wouldn’t think this typical single-family house in the suburbs of Northwest Calgary to have a secondary suite within. Simpson and his firm focus on architecture and permitting, drawing up plans and laying the groundwork for general contractors before outsourcing the final result. The nature of secondary suites in Calgary means that several rules must be followed. Square footage of ‘liveable space’ is regulated, the definition of which is sometimes unclear. As such, creative solutions must often be employed to fit regulation. “The City’s calculations are run differently than is standard in a typical construction venture. They count everything inside the foundation, while we exclude anything that isn’t liveable, such as utility spaces, crawlspace and so forth. This means we end up with a bunch of extra square footage that might put us over our restrictions for space, and we have to work around that.” Simpson explains. Once permitting is obtained and blueprints are drawn up, Simpson hands the project off to Redline Real Estate Group and their associates. Redline takes the initial project and sees it through to completion. It doesn’t matter if they’re starting from scratch or reworking an already-built suite. 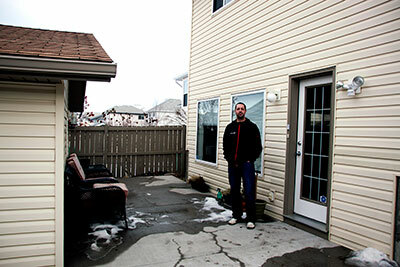 The house the Calgary Journal toured with Shawn Langille started life as a four-level split. Redline purchased the property and, rather than keep the basement suite attached to the primary home, they divided the two levels into two completely separate lodgings. This required removing the staircase, adding standalone mechanical rooms and utilities, and a good amount of remodelling. The result was a one-bed, one-bath basement suite for one or two people. The finished space was roomy and had plenty of natural light filtering in, lending it a cozy atmosphere. Completely isolated from the upstairs home, it lends renters a degree of privacy while also making efficient use of the available space. Redline Real Estate Group started as a holdings venture, specializing in tracking down possible investment opportunities for property owners. 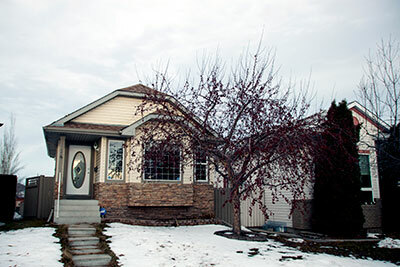 Today, Redline deals with about a third of all secondary suite applications and development in Calgary. Turner describes the public’s attitude towards secondary suites as inhospitable. Apart from public pushback, Simpson, Turner and Langille all agree on another source of resistance – the previously described square footage restrictions. The difference between the city’s methods and those of builders means that one can spend months of back-and-forth before getting approval. “Removing the requirement for a set amount of square footage in a suite would really benefit us. It’s a rule that is counterproductive for investors who want properties in a certain area. It can’t be done if there’s too much square footage.” Turner explains. The issue of licensing for secondary suites has been repeatedly proposed to Calgary City Council. A recent vote taken in December resulted in an 8-7 defeat for Mayor Naheed Nenshi, who has been a proponent of progressive attitudes towards secondary suites. The proposed bill would have allowed for the construction of legal secondary suites in areas of the city where they are currently banned. Opponents within City Council cited concerns on how standards of licensing would be enforced. Whatever the case, it appears that proponents of secondary suites will continue to push for a greater degree of implementation, and widespread adoption. Brett Turner, James Simpson and Shawn Langille are among them. “There’s a lot of good people who want to rent good properties out there, and it’d be nice to see the city help them achieve this. We’d end up with safer, more comfortable living space for Calgarians who otherwise don’t have many options.” Turner says.